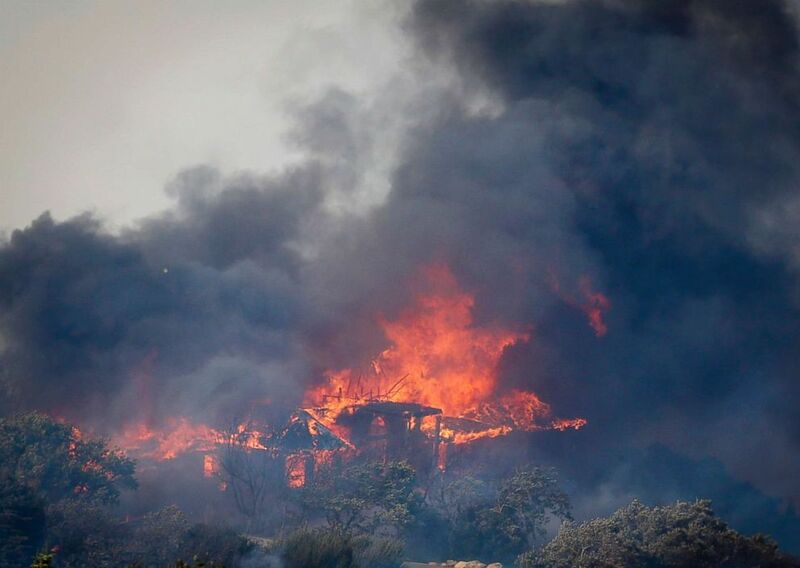 Multiple wildfires continue to rage out west, prompting National Weather Service warnings, alerts and evacuations across multiple states. 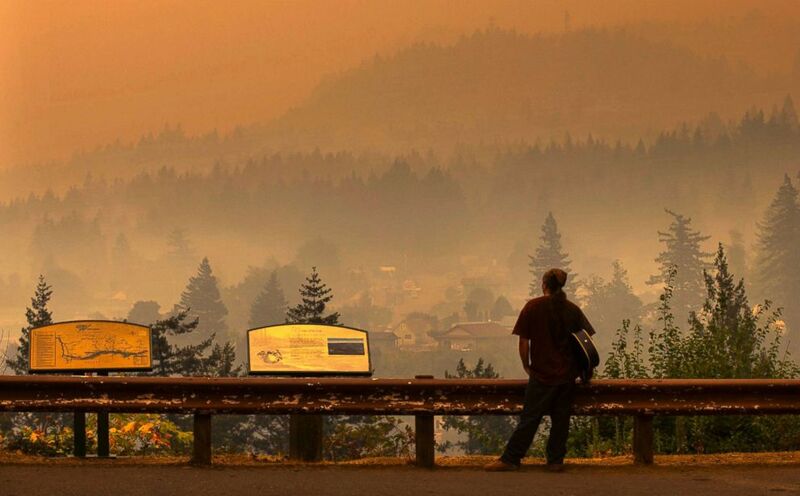 Jason Wheeler looks out across the Columbia River at the smoky community of Cascade Locks, Ore. on Sept. 5, 2017, after being evacuated from his home. There are currently 78 large wildfires burning in eight western states, including Montana, Idaho, Oregon, Washington and California. 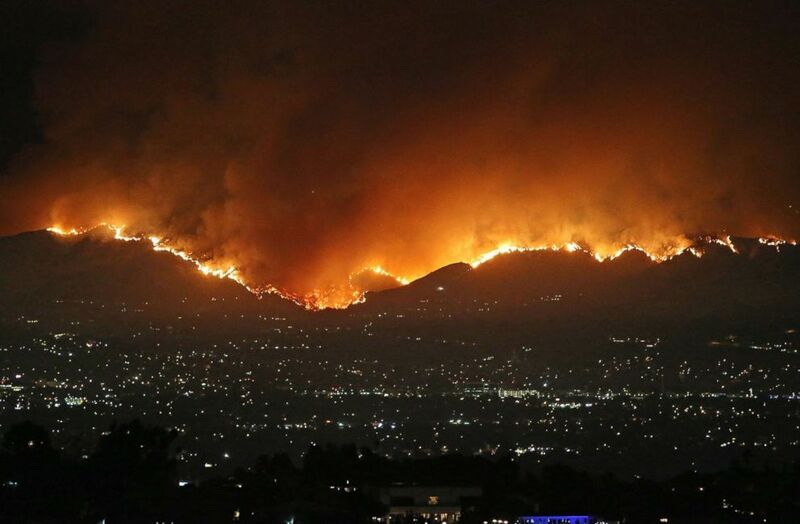 A huge wildfire is seen in Los Angeles, Sept. 1, 2017. Craig Bolleson hugs his friend in his burned out home, Sept. 4, 2017, in the Sunland-Tujunga section of Los Angeles. The La Tuna fire that began last Friday in Los Angeles has scorched over 7,000 acres across Burbank and Glendale, making it the largest fire in the history of Los Angeles, fire department officials said. Firefighters have contained the flames to 80 percent and are actively investigating the cause. 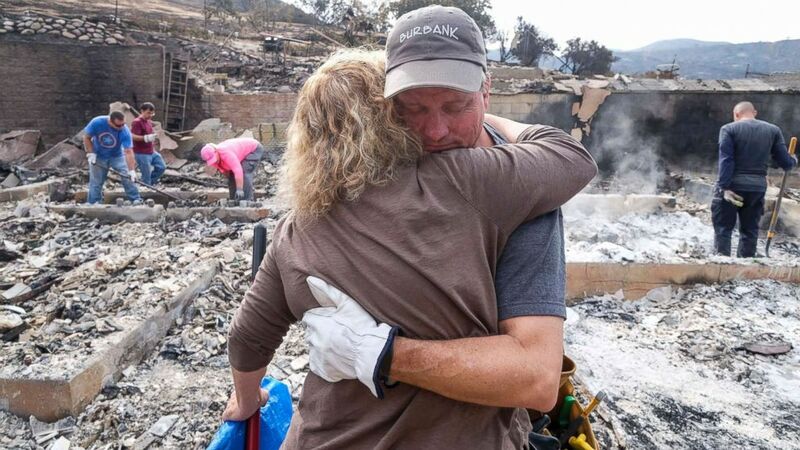 This summer 7.5 million acres were torched in the U.S. from wildfires, ABC News meteorologists said. 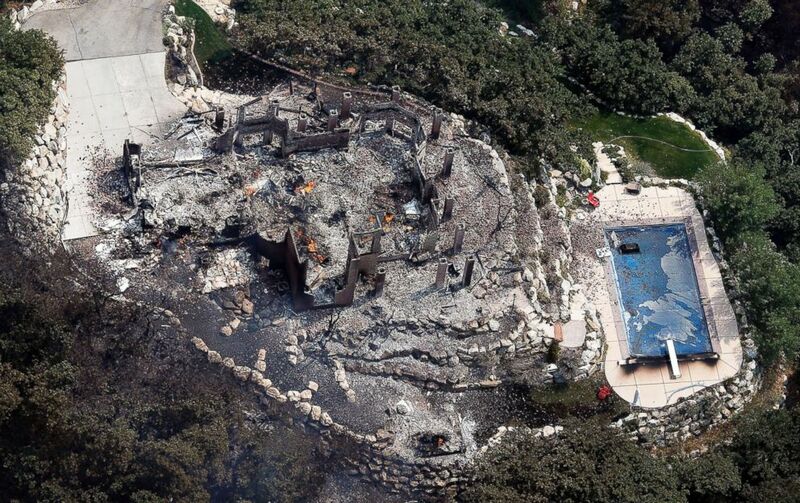 A destroyed home is seen in the wake of a wildfire at the mouth of Weber Canyon in Uintah, Utah, Sept. 5, 2017. Oregon and Washington have felt intense record heat throughout the summer. A structure goes up in flames as a wildfire burns near the mouth of Weber Canyon near Ogden, Utah, Sept. 5, 2017. 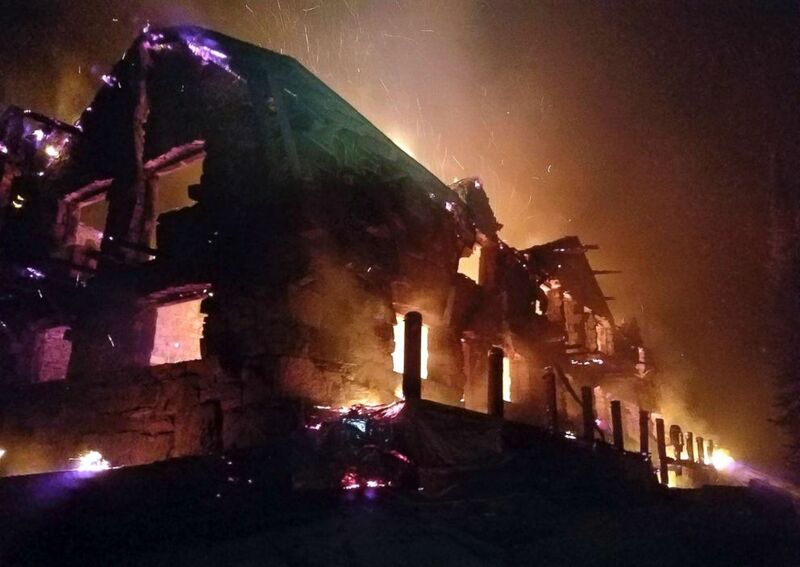 The historic main Sperry Chalet building is engulfed in flames on Aug. 31, 2017, in Glacier National Park, Mont. The National Weather Service has issued fire weather watches, red flag warnings and air quality hazards from Seattle to Spokane as smoke and ash continually filled the sky as a result of the wildfires. 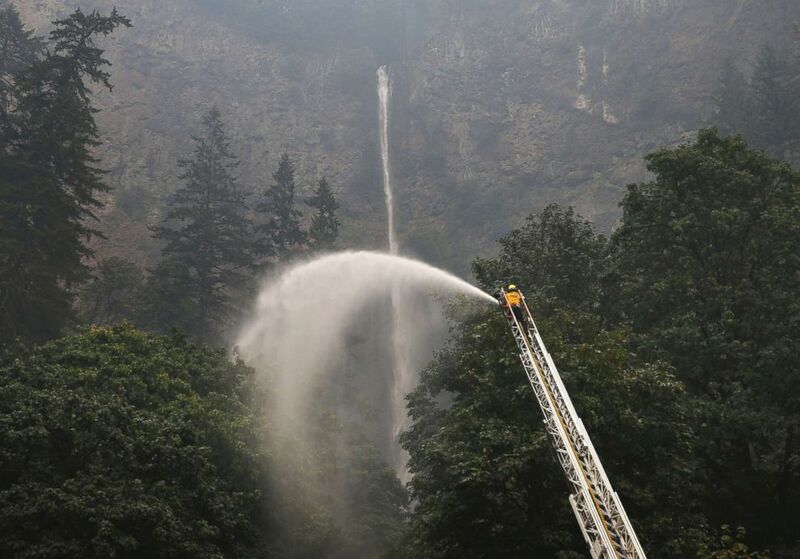 A firefighter sprays water on the trees around Multnomah Falls, Sept. 6, 2017, as the Eagle Creek Fire continues to burn east of Troutdale, Ore.
With continued concern of critical fire weather conditions in the forecast, residents across the affected areas have been urged to take precautionary actions.